game. I gotta figure out this pig! Even as I get ready to type this, I realize that this is crazy to be so triumphant about, but whatever. I’m excited! Yesterday was just silly crazy. I FINISHED MY PROOF EDITS on my book!! And my deadline is MONDAY… so I finished them EARLY! How cool is THAT! By the time I had it ready, Annabelle was napping. I’d just run to the post office after she was up. But I was in the middle of my next home project when she woke up, which included stuff in the oven. So I’d run to the post office as soon as I was done and make it back before the kids got off the bus. But as I was getting my shoes on, I hear a “thud thud thud” outside. I look out my front window into the sunny blue sky… and see the biggest pellets of rain I’d ever seen falling from the sky. Then it proceeded to pour. Checked weather.com… it’d be over in a little bit, but by then I’d be late for the kids getting home. Never mind. I go when the kids got home. 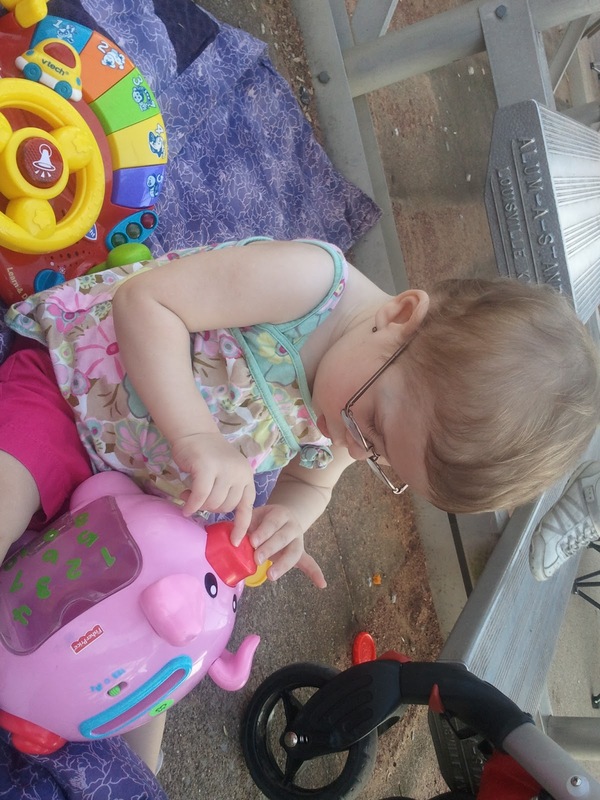 They both had softball games, so plan was to have them get dressed quick, then run by the post office, grab fast food for dinner, drop Karalynn off at her coaches house (they play at the same time, different fields, Oye!) then book it to Lacy’s game that’s 40 minutes away. I had this timed to the minute. I would get it ALL done and my edits would be out of my hands and FINISHED, no longer subject to the dangerous coke-infested war zone that is my house. No paper is safe here, really! I was getting everything ready to go when I glanced at the clock. Five minutes past time for the kids to be home. I frowned and looked out the front door, then ran to get my phone when there was no sign of the bus. Missed call from my eldest daughter. I called her back… evidently kids were being loud so the bus driver felt it prudent to stop the bus for 15 minutes until they quieted down. Ten minutes later, Momma’s schedule completely screwed up, then arrived home. Yelling ensued, uniforms being thrown at children with shouts of GET IT ON NOW following. I’m not proud of this fact… just being honest. We jump in the car, reverse out of the driveway, and floor it. Okay, maybe not floor it, but I did not drive under the speed limit by any means. Glanced at the clock. 4:22. Post office closes at 4:30. I’m gonna MAKE IT DAD GUM IT! A few stoplights later, it was 4:26 and I was a half mile from the post office. I think I can, I think I can! Then the brake lights from the minivan in front of me come on. And I see it. A tractor. On the road. Two cars in front of me. Taking it’s sweet ol’ time. I believe a vein popped right out of my forehead at that moment. 3 1/2 grueling minutes later, I pulled in behind the minivan into the post office, jumped out of my car, and ran to the door. The lady in the minivan, who happens to be Karalynn’s girlscout troop leader and a friend (waving hi Kristi) runs in with me. Picture that slow motion, hair flying, mouths moving in insanely awkward directions, arms flailing as we run up to the door with that funky music playing in the background…. And we both about collapse at the sight of the closed sign and the man locking the door. And being the sweet post office employee he was, he unlocked the door and let us in. Jubilant, we all but skipped up to the counter with our packages. And to top off this euphoric moment, when I pulled out the bank envelope that held the money that I was going to pay to ship my edits… I found…….. I almost cried. You see, I’ve been looking for that dumb thing all week, and had been panicked about not being able to find it. Just another thing to stress over. I might have shouted loudly, I’m not sure… I was just so darn excited. I bid my friend goodbye, returned to my kids in the car, and collapsed in my seat. Man what a day! Oh, and my kids did FANTASTIC at their softball games! Gma and Gpa Johnson went to Karalynn’s for me, and Karalynn made her first base hit in a game!!!! 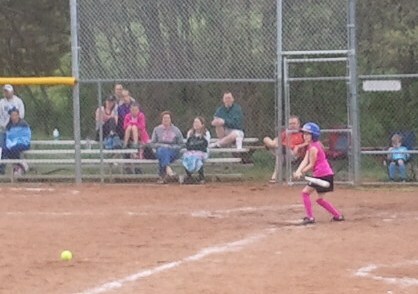 (She usually ends up getting walked… she’s in the first year of non-coach-pitch) and made an out in the field! WOOT! 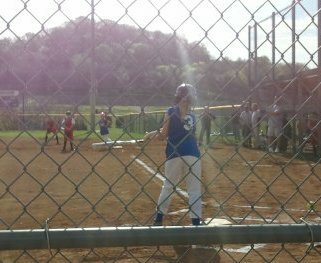 And Lacy got 3 base hits, made it to home twice, and got like 3 or 4 outs at 3rd, including catching a pop fly! A proud Momma tonight who is DONE WITH HER EDITS!!! And yes, I could have mailed them tomorrow, it wouldn’t have been the end of the world, but I REALLY REALLY REALLY just wanted it DONE! It feels so GOOD to have it out of my hands! Discussion: What’s the last thing you’ve done where you wanted to throw your hands up and yell and do a victory dance? ?